Starting early can improve your child’s chances of obtaining a perfect bite. Early treatment (treatment started before all permanent teeth erupt), can often be more effective than later treatment. This can sometimes be the best way to completely correct a dento-facial problem. It can sometimes be harder to obtain a full correction if treatment starts after the full eruption of permanent teeth. Early treatment (Phase I treatment) can take advantage of a child’s growing bones and muscles to correct and stabilize bites optimally. Phase I treatment can include gently widening a small jaw to fit in crowded teeth, using a habit corrector to avoid abnormal development, and other appliances that can guide jaws and muscles to create a perfect bite. Starting treatment early can often minimize and often fully correct jaw misalignment problems, and reduce time in full braces, when added in Phase II (after full permanent teeth erupt). 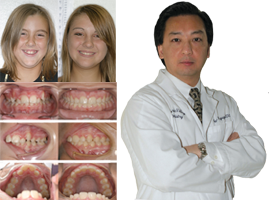 The final straightening, bite correction, and establishment of the best smile with use of full braces is reserved for Phase II. This usually takes place at approximately age 11 in girls, age 13 in boys, but of course this timing is very individual. 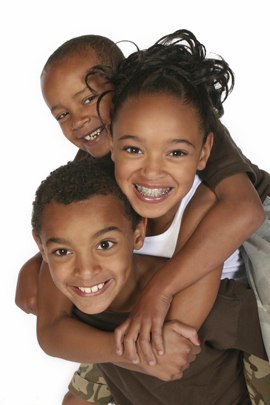 The American Dental Association (ADA) recommends children to have an orthodontic evaluation by 7 years old. The dentist can take records to see if there are potential problems for your child’s future that are unseen without machines and records. If needed, your dentist, will list the treatment goals of Phases I and II at the consultations, using computerized prediction methods to make the most accurate diagnosis. Phase I treatment (that time before full eruption of the permanent teeth) can be 1-5 years, depending upon when the problems have been identified and the treatment plan established. Phase II treatment (the time where full brackets are usually worn) often is 12-18 months if a Phase I has been completed prior. In every case, a re-evaluation with new records will be made before the start of the second phase to confirm the diagnosis. Phase I+II treatment is usually more expensive than Phase II treatment only, given the longer treatment time, more treatment visits, and increased doctor time spent on the case. Most doctors who choose to start treatment early do not fully charge for their time, being more interested in the quality of the final result. It is typical that 2-phase treatment is 10-20% more costly than 1-phase (wait until all the permanent teeth erupt) treatment. The longer time allowed for payment, however, often makes the more expensive 2-phase treatment more affordable to the parents than 1-phase. A value judgment must be made for each individual and for each problem, since every case is different. Your dentist will make recommendations specific to your child, and treating as if they were his/her own. It is advisable that a comprehensive long-term treatment plan be formulated and coordinated year-by-year to reach the final desired result. 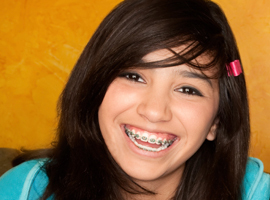 Some years no treatment is done, other years may be reserved for full braces. By doing this, the chance of a full correction is more predictable, with the smile that everyone wishes realized in a high percentage of cases. Is 2-phase treatment an efficient approach? It is most important that the materials and appliances used in early treatment are long-acting, increasing the time between visits, and therefore reducing the total number of treatment visits. With a dentist using the IP Appliance®, you often have 50% less treatment visits. Computerized appliance diagnosis and the application of brackets and archwires specific for the patient characteristics and treatment are essential to reducing doctor time in these longer cases, in the process saving you money. By diagnosing tooth-by-tooth, as is done in IP Orthodontics, the final tooth position may be established early in treatment, reducing the time and energy to make the final tooth movements in the second phase. Efficiency is on the mind of your dentist in a 2-phase treatment, so please follow directions.